Buick Skylark was one of the oldest vehicles that GM had in its inventory. The Skylark was introduced in 1953 and made it all the way until 1997. The public faith in this vehicle has been unmatched by our automakers. The power of the engine is what kept the Skylark in the hearts and minds of the buying public. We have Buick Skylark engines for sale in rebuilt and in used engine conditions. The powerful V6 3.1L engine is what we have. This engine was useful for many GM and Chevrolet cars throughout the early 1990s. When you buy from www.carenginesforsale.com, what you get is a great engine that is not overpriced like most online sellers. What is a rebuilt engine? What is a used engine? We get a lot of questions from our website and over the phone with these types of questions. It is confusing when the only thing you know is that a dealership charges way too much for a new engine. What you are left with is used or rebuilt options like what we offer. A used engine is one that we have cleaned and tested. We make sure it’s ready for fast installation. A rebuilt engine is one that we have removed all the older parts and replaced these parts with genuine GM parts. 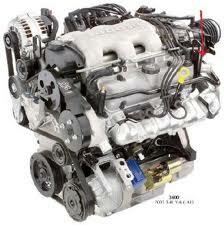 The same testing is performed and what we offer is 3.1L V6 engines in great working condition. Inside of our engine shop is where all our V6 engines are rebuilt or cleaned. We have went and hired what we know are the very best General Motors mechanics. We are not a backyard operation. We own and operate our own professional facility and have hired and trained a professional staff. We don’t sell on auction websites because we have a better one here. We do a lot for our customers and know they expect us to be top notch. Getting the rebuilt or used Skylark engine you need is easy. Our inventory is large enough to support average drivers, mechanics and salvage yard owners that might buy engines in volume. Dyno testing is one of the processes that we rely on here. It is the tests that we perform using this digital computer that helps us evaluate what our engines can do. We know what the idle should be and we check it. We know what the oil compression should be and we check that too. There is not one problem or error that might exist in one of our engines that does not get discovered. We put all that we have into our engines and are very sure that our V6 engines will please you just like they please us. Our pricing is one thing that rarely changes here. We always do our best to have the lowest pricing and we accomplish that goal. Use the Buick Skylark 3.1L V6 quote form on this website. It’s super fast and lets you in our on our pricing. Call 1-877-630-3873 if you are ready to order. You can also call just to get a quote if the Internet is not your thing. We’re here to offer you a great engine.